Benton, Joshua. "A look at Defense One, Atlantic Media’s new site for the military-industrial complex." Nieman Journalism Lab. Nieman Foundation for Journalism at Harvard, 16 Jul. 2013. Web. 24 Apr. 2019. Benton, Joshua. "A look at Defense One, Atlantic Media’s new site for the military-industrial complex." Nieman Journalism Lab. Last modified July 16, 2013. 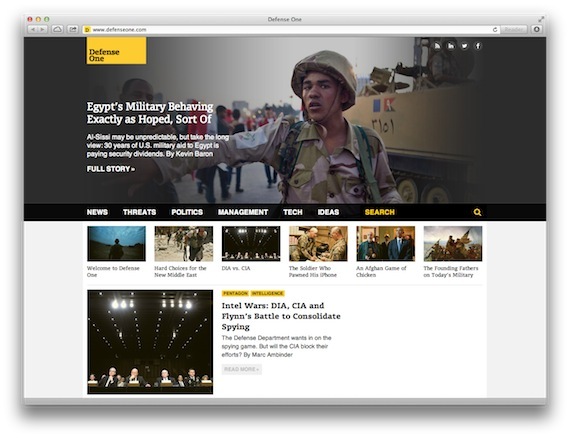 Accessed April 24, 2019. https://www.niemanlab.org/2013/07/a-look-at-defense-one-atlantic-medias-new-site-for-the-military-industrial-complex/.